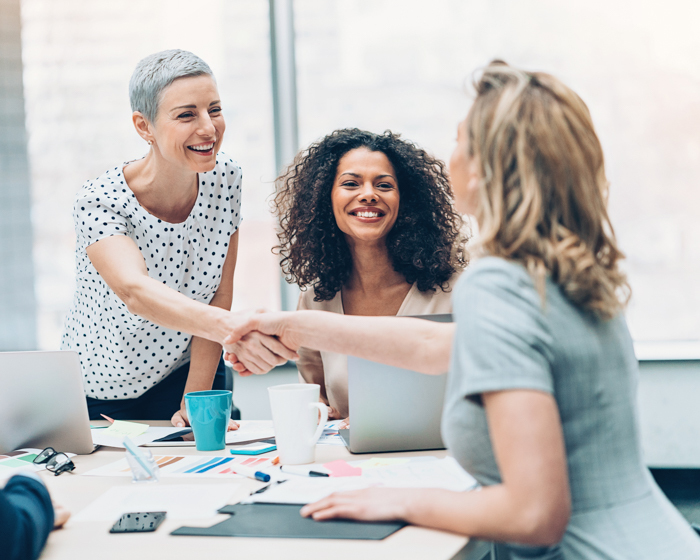 We strive to offer our clients better control of their workers’ compensation programs by utilizing technologically advanced strategies and team-based, flexible problem-solving initiatives to achieve superior outcomes for our clients. 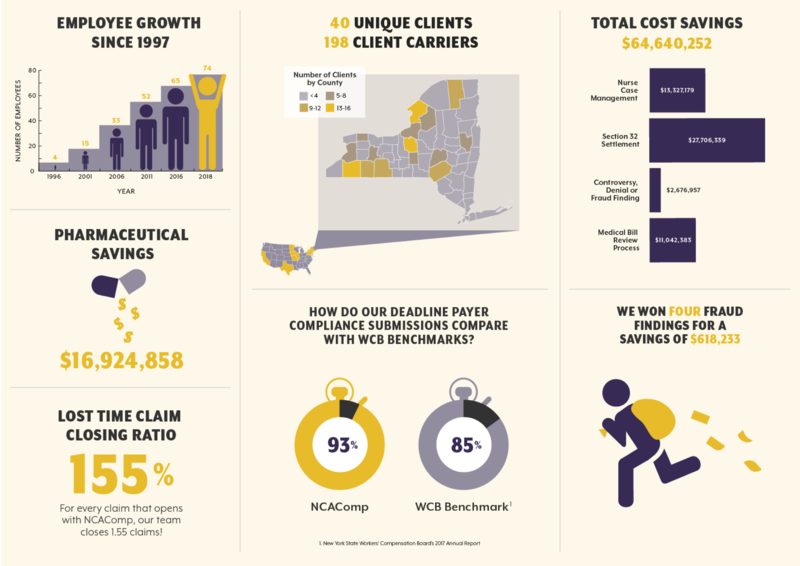 NCAComp, Inc. is a Third Party Claims Administrator for New York State workers’ compensation and disability claims. Since 1991, we have advanced and continuously evolved to serve different types of clients around the New York State area and across the United States. Moreover, our service offerings have increasingly diversified in order to provide our clients with the tools to manage every aspect of their workers’ compensation program. 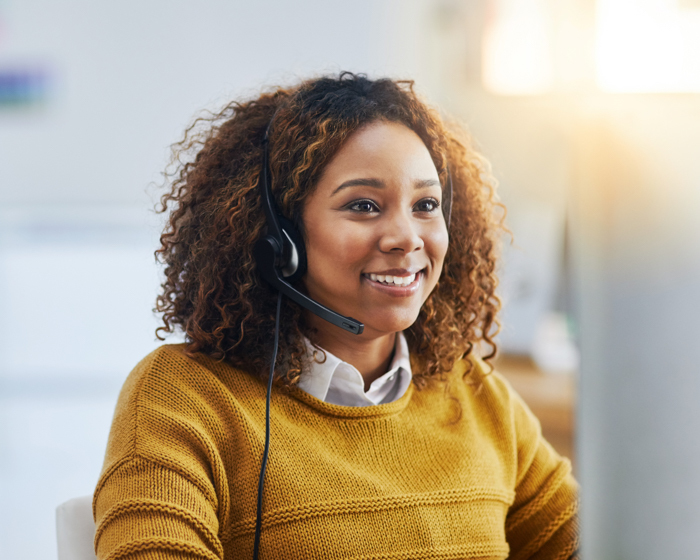 Since inception, NCA’s team has grown to 70 employees, who work together to save our clients money through the efficient administration of claims. We maintain a low case count so that our dedicated adjusters can focus on closing claims, effectively utilizing cost-saving programs, and properly administering benefits. Our specialists at NCA are constantly working to create the most technologically-advanced platform for claims management. This proprietary, in-house software not only allows for our adjusters to work smarter, but also for our clients to receive the reporting, results, and transparency they need to make fundamental program decisions. Because of NCA’s diligent staff and advanced technology, we are able to save our clients millions of dollars a year. We track these savings through a detailed quality assurance program that ties into our incentive program for our employees. Through this program, our employees are able to share in the success of our clients, too. Of all the workers’ compensation administration firms I’ve worked with, NCAComp has been the best. I can retire knowing the gains we’ve made with our plan will continue in large due to NCA. With NCA working our claims, we can be sure that the best cost containment programs are being applied and their service ends up paying for itself. NCAComp has assisted our districts with reduction of cases, increase in detection of fraudulent activity, and reduction in overall case costs – resulting in more favorable experience ratings and reduced yearly premiums. Their staff provides us with excellent service and communication, and they have been a vast improvement over other TPA’s we have worked with in the past. We are proud of what we do – and we have the facts to prove it.